Alcoa Inc reported an increase in profit for the third quarter that was strong than had been expected on Wednesday as higher prices for aluminum and a reduction in costs helped drive a recovery in its unit that produces its aluminum. Klaus Kleinfeld the CEO of Alcoa said during an interview that the upstream raw material business enjoyed its best quarter since the economic slump of 2008. He added that the performance this quarter is additional proof the strategy we are using is working. The company has traditionally been the first of the S&P 500 companies that report results for the quarter and some feel they are a bellwether for the U.S. economy since the company supplies large industries such as airplane manufacturers and automakers. 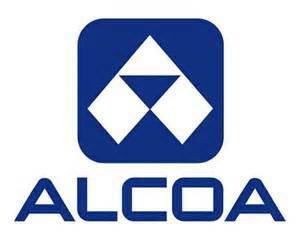 Alcoa’s shares were up 2% in trading after hours on Wednesday. The stock price has increased 50% this year, which has outperformed the market. During the third quarter, net income at Alcoa was up to $149 million equal to 1 cents per share compared to last year of $24 million equal to 2 cents per share, even though it took charges for restructuring for its smelter closures. The growing business for Alcoa of making goods that are specialized for the aerospace and automotive industries has helped to offset a market that has been weak for less processed aluminum. Alcoa has also worked to improve its costs. The after tax third quarter operating income in the primary metals sector, that includes its mining of aluminum, refining as well as smelting operations was up to just over $245 million compared to just $8 million last year. The average realized price helped Alcoa as they were up from $2,180 a tonne to $2,538. Alcoa has been shuttering its higher cost smelting capacity while its joint venture expands with Saudi Arabian Mining. Kleinfeld said the operation in Saudi Arabia has become fully ramped and is already producing a profit. Alcoa, excluding certain items, saw its earnings increased to $370 million equal to 31 cents per share during the quarter, exceeding the analyst estimates of 23 cents. Sales were up 7% to end at $6.2 billion.